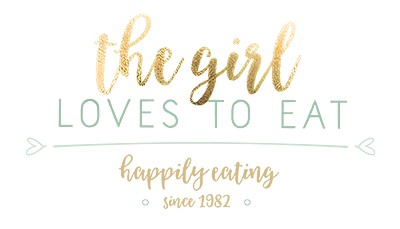 I’m often making fun of food blogs that make use of the phrase “the best…”. Every other blog nowadays claims to have the best recipe for one or the other thing. I think it’s presumptuous and I promised myself I would never do that. 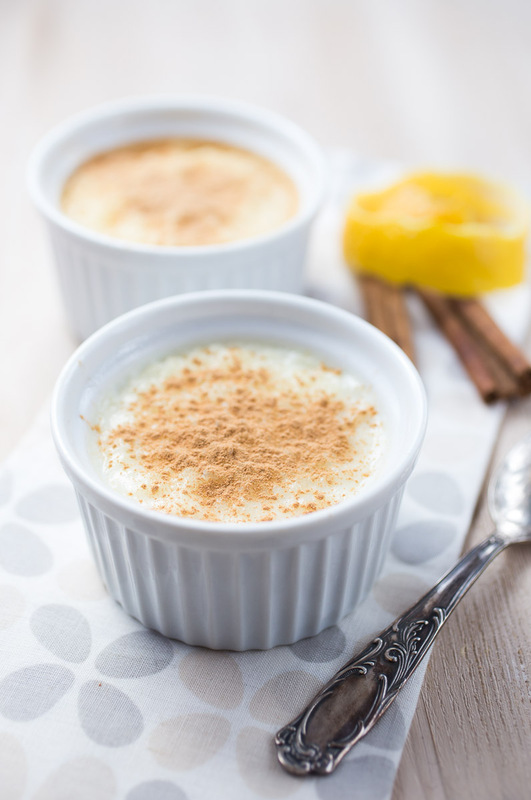 However… this rice pudding recipe is quite special to me. 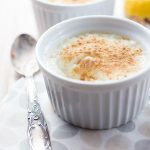 It’s a family recipe my mother has tweaked and adjusted so much when I was a child and the current manifestation of it is just that: the best rice pudding recipe ever. Of course it’s all a matter of taste. 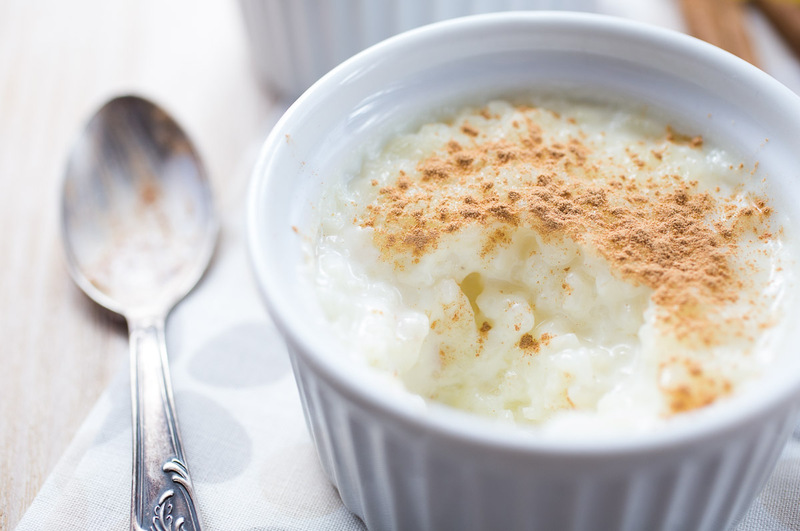 Rice pudding in Germany is generally cooked for the entire time in milk and so all the starch from the rice remains in the milk. So the result is quite thick and pasty. In spain however the rice is pre-cooked in water to release some of the starch, so the pudding is milky and lighter and more liquid, which I prefer. And for the latter THIS has to be the best recipe. Take a large pot, fill it halfway with water and add the rice. Cook for 8 minutes. Drain the rice and the put it back in the pot. Carefully peel the zest of the lemon. The bigger the pieces, the better, because you have to fish them out later again, so I always try to peel of one long strand of zest. Add the milk, sugar, lemon zest and cinnamon stick to the pot. Put on medium to high heat. When it starts to boil, turn down the heat and cook gently for 20-25 minutes, stirring often. Be careful at this stage because the mixture tends to cook over and make a horrible mess on your stove, so stay close and keep stirring. You're looking for a consistency that looks slightly too liquid in the pot. It will thicken up later as it cools down so don't leave it too long. Take out the cinnamon stick and lemon zest. 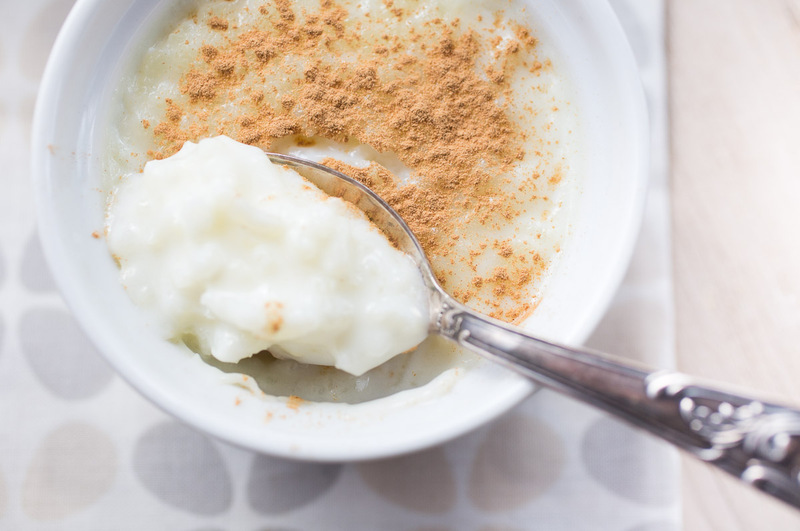 Fill the rice pudding into serving bowls and refrigerate for at least 3 hours. Dust the top with ground cinnamon before serving. Awesome! Let me know if you like this version. 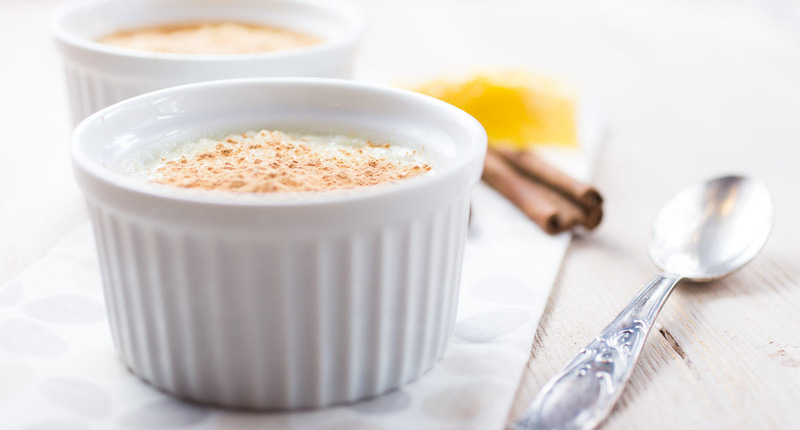 Today I have made the rice pudding. It is the best I’ve tasted!! That pudding looks heavenly ?